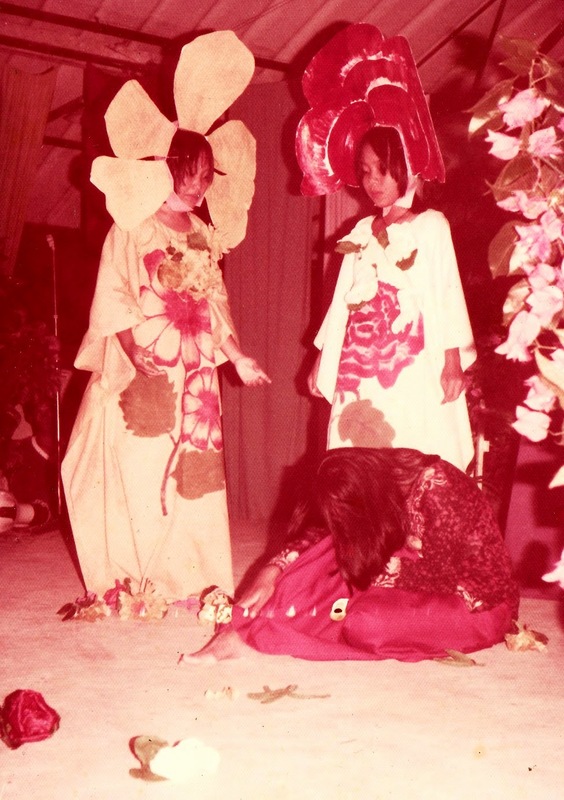 SMK Bintulu students performing the children's play 'Dewi Bunga'. 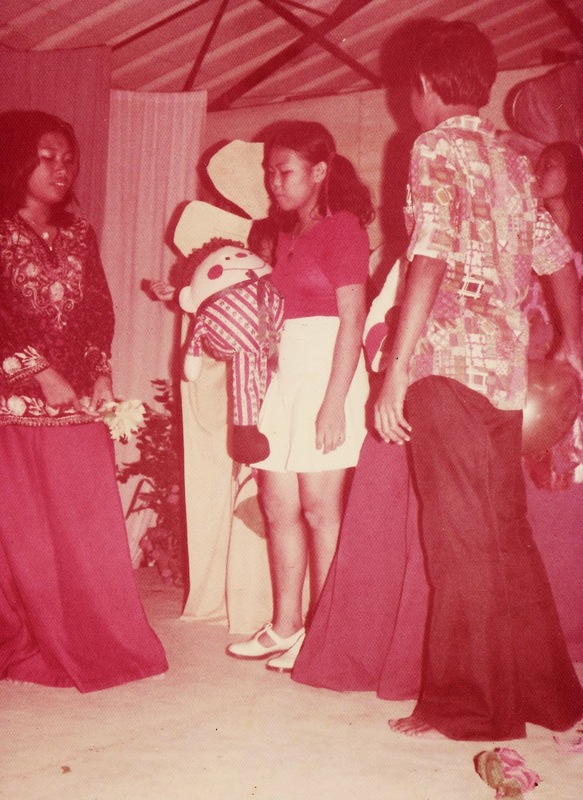 With the vigour and freshness of a trained teacher in 1975, I set upon a dream to produce a children's theater for the students of Sekolah Menengah Kerajaan Bintulu or SMK Bintulu in short. The children's drama was based on a script by one of my course mates in USM or Universiti Sains Malaysia by the name of Shamsiah Mohamad. We were the very few undergraduates who opted for the elective subject 'Children's Theater' in 1973. The play was written in Bahasa Malaysia. What was novel in this children's theater was its concept. In this drama the students were playing the roles of children and interacting with characters from the animal and plant kingdom. 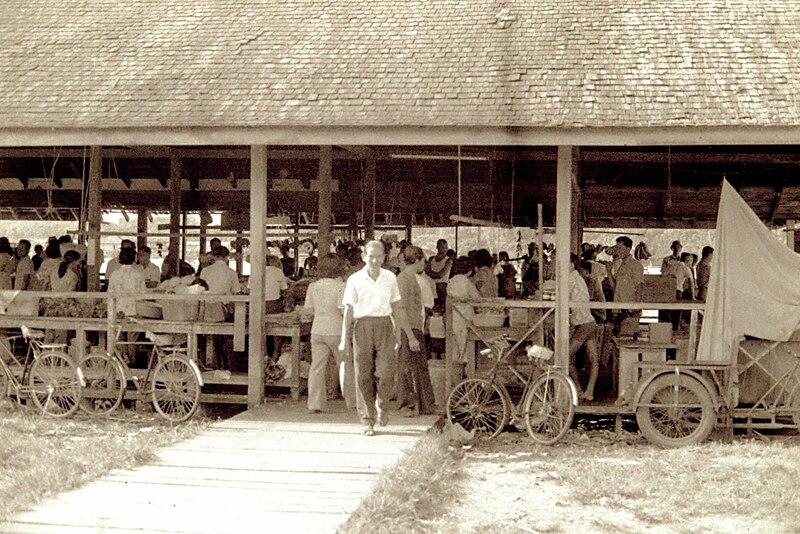 I was excited to introduce to Bintulu a real children's theater i.e. the experiences of life from the viewpoint of young eager, curious and happy minds. The child 's world of fantasy and unlimited possibilities and imagination were given a free rein. The animal and plant characters began to be alive with human values and freely interact with the children. The children could quickly and easily symphatise with the characters because these characters are close to the world of children every where in the world. 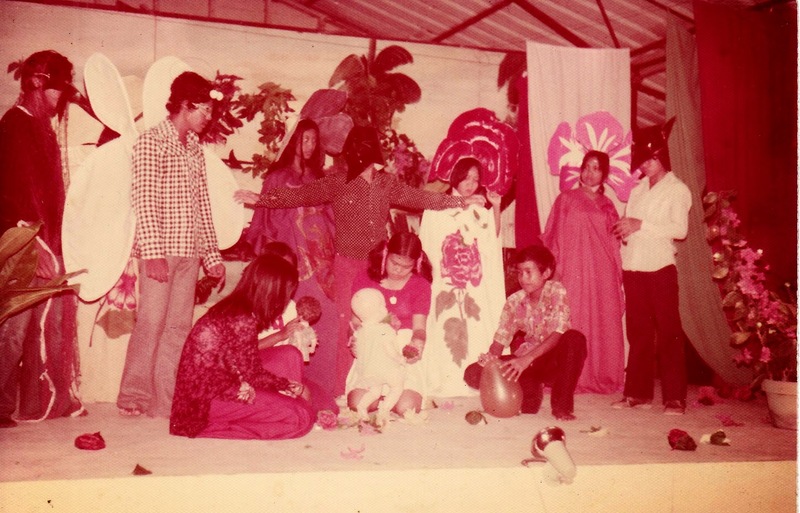 Today, I find a real dearth in the production or staging of real children's theater in Sarawak schools despite our early attempts to introduce it way back in 1975. Whether the plays are in English or Bahasa Malaysia is of irrelevance. In producing dramas, we should write the script from the children's point of view or from the "eyes "of the children. I am waiting to hear news of schools in Bintulu or Sarawak for that matter to produce or stage real children's theater based on stories that can help with the development of their creativity, communication skills, moral upbringing, social and emotional intelligence. I am happy for once that my dream came true in 1975.